More than 86 million Americans are living with prediabetes, and nearly 90 percent of them don’t know it. If you are one of those people, it’s not a sure thing that you will develop Type 2 diabetes. That’s because there are things you can do to help delay or prevent the disease. Type 2 diabetes occurs when your pancreas doesn’t produce enough of the hormone insulin, or does not use insulin properly. Insulin moves sugar, or glucose, into your body’s cells, where it’s used to create the energy that keeps us going. When insulin can’t do its job, sugar builds up in the blood. This can leave you fatigued, thirsty and hungry. It also can cause blurred vision, weight loss and frequent infections. Over time, Type 2 diabetes can lead to other serious health problems such heart disease, stroke, blindness and kidney disease. Age: As we get older, the chance of developing diabetes goes up. Most people have an increased risk after age 40. Half of all people over 65 have prediabetes, and nearly 27 percent actually have diabetes. Family history: Having a close biological relative with diabetes is a leading risk factor. Most people with Type 2 diabetes have a parent, brother or sister with the disease. Race and ethnicity: People of certain racial and ethnic groups face a higher risk of Type 2 diabetes. They include those of African, Native American, Asian and Latino descent. Gestational diabetes: Some women develop Type 2 diabetes during pregnancy. The condition goes away after childbirth, but having gestational diabetes puts women at higher risk of developing the disease again later in life. Maintain a healthy weight: Research shows that 15 percent to 30 percent of overweight people with prediabetes will develop Type 2 diabetes within five years. But overweight people with prediabetes can delay and possibly prevent diabetes by losing 5 percent to 7 percent of their weight. Eat healthy foods: You will want to consume less fat and sugar, and more whole grains, fruits and vegetables. These changes can help you maintain your weight and keep your blood sugar levels manageable. A good place to start is by reading food labels. We all know that soda, cake and candy can contain high levels of fat or sugar. But so do many other foods, including some yogurts and cereals, and canned goods such as fruit and pasta sauces. Be active: Exercise and other physical activity can help you control blood sugar levels and your weight. Experts recommend moderate-intensity activity for at least 30 minutes a day, five or more days a week. What qualifies? Walking briskly, bicycling, gardening, dancing, swimming and mowing the lawn are some examples. If you want to step it up a notch, try running, yoga or tennis. Limit alcohol: Heavy drinking can inflame the pancreas and hurt its ability to produce insulin. It also can add unneeded sugar to your diet. By taking steps to prevent Type 2 diabetes, you will lower your risk for the longer-term health problems associated with the disease. 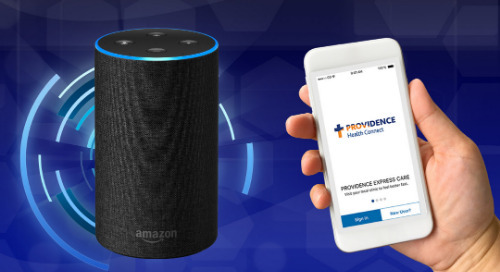 If you need help losing weight, changing your diet or creating an exercise plan, make sure to talk to a Providence provider. Find one in your region here.